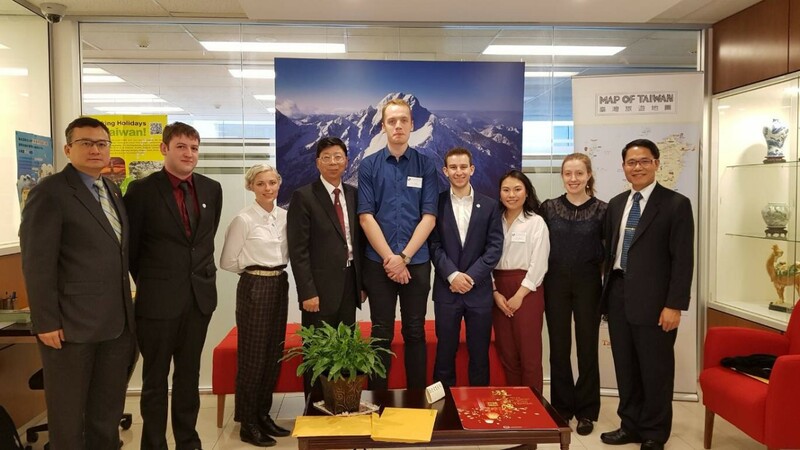 The Australian Government announced the recipients of the 2019 New Colombo Plan (NCP) scholarships on November 26, 2018. Among them are seven outstanding undergraduate students – Bethany Green, Nancy Cai, Christopher Giagoudakis, Jessie Nguyen, Lachlan Tucker, Sarah Smedley, and Sean Wanna – who will use their scholarship to live, study and work in Taiwan for periods of between 3 and 19 months. This is a significant increase compared to the four scholarship recipients who came to Taiwan the year before. These seven scholarship winners are joining 167 NCP mobility grants recipients who will take part in short and semester-length programs in Taiwan for periods of between two weeks and one semester under the 2019 New Colombo Plan. Five of the 2019 NCP Taiwan scholars visited the Taipei Economic and Cultural Office in Australia on November 27, for a briefing about studying in Taiwan. Elliott Charng, Taiwan’s Representative at Taipei Economic and Cultural Office in Australia, Deputy Representative Ken Lai, and Dr. Aaron Chen, Executive Director of the Education Division of the Taipei Economic and Cultural Office in Australia met with the NCP scholars and congratulated them on their achievements. Dr. Chen showed three videos to encourage the NCP scholars to explore every learning opportunity in Taiwan and immerse themselves into its Mandarin-speaking environment. And a former NCP scholar Abigail Slater also went along to share details of her experiences there. The New Colombo Plan, now in its fifth year, has strengthened partnerships between Australian universities and prestigious universities in Taiwan. Australian students are increasingly seeing Taiwan as one of the top destinations for learning more about Asia’s information technology, economy, and evolving democracy, and so far Taiwan has hosted 647 Australian students who came to study or undertake work-related internships with NCP funding. Photo:From left: Dennis Lei, Deputy Executive Director of the Taipei Economic and Cultural Office in Australia, Lachlan Tucker, Sarah Smedley, Deputy Representative Ken Lai, Sean Wanna, Christopher Giagoudakis, Jessie Nguyen, Abigail Slater, and Dr. Aaron Chen, Executive Director of the Education Division.